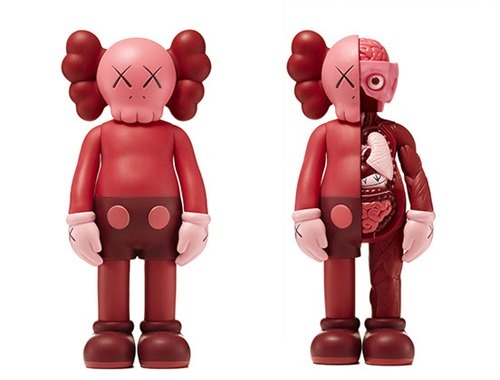 The KAWS Companion Blush open-edition vinyl Art Toys are back and slated to drop on Valentine's Day (2.14) at 9 AM PST from KAWSONE. This is the second KAWSONE drop for the regular + flayed Open Editions of the red/pink Companion and follows the initial drop back in June of 2017. Goes without saying, but these will sell out quickly — an alarm or reminder is a must.